Inkekush has both a thin tainted atmosphere and no surface water which makes habitation by sophonts difficult. The system has a population between 10,000 and a million, lacking the industrial base to be completely self-supporting. It is a member of Third Imperium in the Gulf Subsector of Deneb Sector and in the Domain of Deneb. Inkekush, as a member world of the Third Imperium, holds the estate of an Imperial knight, a member of the Imperial Nobility charged with overseeing the world. This world has a nearby Imperial Naval Base, capable of handling warships. Inkekush has both a thin tainted atmosphere and no surface water which makes habitation by sophonts difficult. 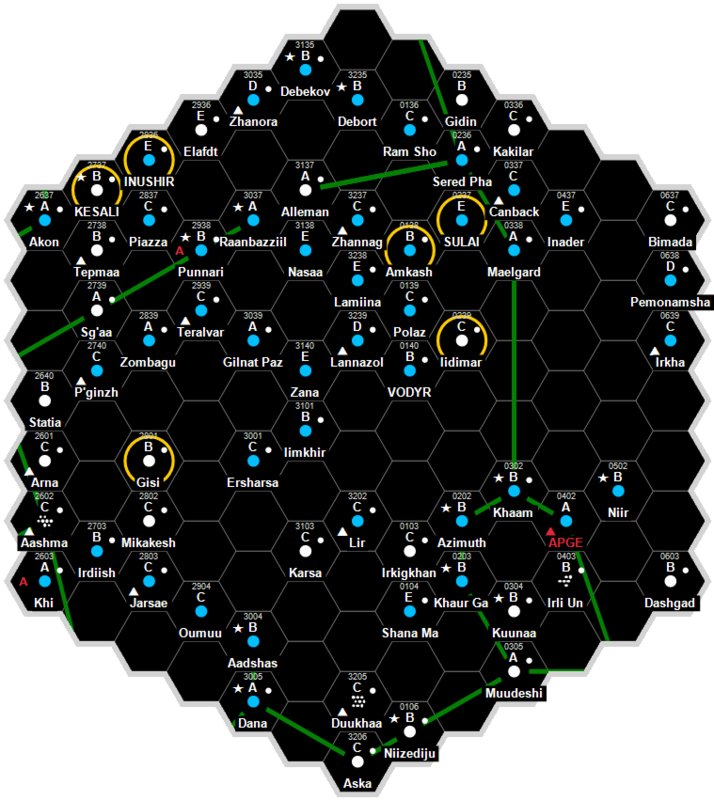 The system has a population between 10,000 and a million, lacking the industrial base to be completely self-supporting. It is a member of Regency of Deneb in the Gulf Subsector of Deneb Sector. This world has a nearby Regency Naval Base, capable of handling warships. Lurent planetoid ships may be found in the system’s Oort clouds. Ling-Standard Products operates a shipyard on Inkekush. Dave Nilsen. The Regency Sourcebook (Game Designers Workshop, 1995), 64. This page was last modified on 21 September 2016, at 09:37.